RENO-SPARKS, Nev. (Jan. 30, 2018) –– Hot August Nights (HAN) is celebrating 32 years of tradition with musical legends headlining the week-long festival dedicated to classic cars and rock n’ roll. Attendees can kick-off their blue suede shoes and enjoy an array of free, live entertainment from Aug. 7–12, 2018 at outdoor venues throughout the Reno-Sparks area. This year, make sure you’ve got great seats for the Hot August Nights festivities and entertainment. 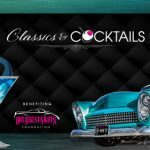 The Garage, a preferred seating experience, introduces a brand-new way to experience Hot August Nights entertainment at the Grand Sierra Resort (GSR). This 21+ area will allow you to enjoy complimentary drinks in comfort and style. Day passes range from $50 to $75 and all week passes are $300. Purchase your entrance by visiting the Hot August Nights office located at 1425 E. Greg Street in Sparks, Nev. or by calling the office at 775-356-1956 x0. Starting off the Hot August Nights entertainment series on Tuesday, Aug. 7 at the GSR outdoor stage, actor and performer Jay White, America’s Diamond, pays homage to the famous singer-songwriter of the global hit songs “Sweet Caroline” and “Hot August Night.” On Wednesday, Aug. 8, the nostalgic sound of the Eagles is performed by Hotel California A Salute to the EAGLES. On Thursday, Aug. 9 at the GSR, audience members won’t be able to help singing along and cheering as legendary Eddie Money brings the heat with his classic-rock anthems and a surprise guest brings a high energy performance to center stage as they headline Friday, Aug. 10––to be announced at a later date. Spotlighting funk, rhythm and blues, headliner Kool and the Gang will teach the crowd the real definition of “Celebration” as their iconic songs bring to life the groovy vibes of yesteryear taking the stage at GSR on Saturday, Aug. 11. In downtown Sparks, attendees will be able to rock out and groove beginning on Wednesday, Aug. 8 with one of our favorite local bands and Michael Furlong’s “Tribute To Tom Petty” on Thursday, Aug 9. On Friday, Aug. 10 The Greg Kihn Band consuls those with the iconic tune “The Breakup Song (They Don’t Write ‘Em)” at Victorian Square. Concluding the weekend on Saturday, Aug. 11, Ambrosia plays the smooth sounding rock that made them an instant fan favorite throughout the 70s. Audience members will be able to enjoy their progressive sound and travel back in time at the downtown Sparks stage. Free nightly entertainment will begin at 8:15 p.m.. Dates, times and locations are subject to change. For a complete event schedule, visit hotaugustnights.net. Hot August Nights, a nonprofit organization, is the world’s premier classic car event, annually drawing hundreds of thousands of spectators and participants to northern Nevada to revel in nostalgia, enjoy top entertainers from the ‘50s, ‘60s and ‘70s and participate in a variety of events including Show-n-Shines, controlled cruises, an auction, drag races, autocross, drifting and more. For more information, call (775) 356-1956. For the latest updates on Hot August Nights, visit Facebook.com/HotAugustNights or on Twitter @HotAugustNights.